All Events › OPEN TODAY The cafe offering hot daily lunches BOX just £4.00! OPEN TODAY The cafe offering hot daily lunches BOX just £4.00! Our café bar is fully licensed with free Wi-Fi, and has a comfortable and creative atmosphere; you can come in and enjoy our homemade Trinidadian curry. We offer hot Meat, Vegetarian and Vegan dishes. Have you tried our infamous chutneys and pepper sauces? 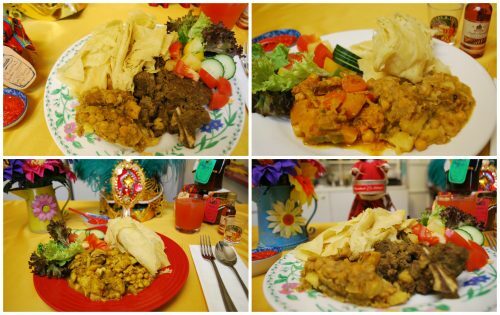 A true taste of Trinidad! Pop in today & take one, or two, or three… home. Here at C.A.F.E we offer hot daily lunches BOX just £4.00!